Deutsche Bank AG racked up a loss of $1.6 billion over nearly a decade on a complex municipal-bond investment that it bought in the runup to the 2008 financial crisis, and failed to confront head-on even as markets were upended and regulations tightened. The loss, which hasn’t previously been reported, represents one of Deutsche Bank’s largest ever from a single wager—roughly quadruple its entire 2018 profit—and ranks as one of the banking industry’s biggest soured bets in the last decade. The prolonged struggle over how to handle the investment sheds light on cultural and financial challenges inside one of Europe’s biggest banks that have hampered its ability to compete with stronger US rivals. Deutsche Bank resisted for years reducing the value of those bonds and related derivatives on its books to a level that markets suggested they were worth, and it brushed aside concerns raised by the bank’s financial auditors about how it was valuing the trade, according to internal bank documents and people involved in discussions about the investment. During that time period, the bank was telling investors its internal financial controls were sound, and it raised billions of dollars in the capital markets without any disclosure of the bond valuation issue. Behind the scenes, the badly timed bet exerted a sustained drag on the bank’s finances. Internally, the bank acknowledged losses on the trade only incrementally. After it finally liquidated the position nine years after buying the bonds, bank executives debated whether to restate past financial results, but never did so, according to people involved in the discussions. Bank executives, the supervisory board’s audit committee and external advisers all were involved in the decision not to restate financial results, and the bank shared results of the review with regulators, said one person briefed on the process. The saga of the troubled bond investment played out as the bank grappled with an array of problems, including declining profits, regulatory fines and investor doubts about its capital position and competitive strategy. Deutsche Bank reported full-year losses for 2015, 2016 and 2017. This account of the investment is based on interviews with more than a dozen people involved with the trade and its aftermath, and hundreds of pages of documents related to bank valuation policies, accounting records and communications involving Deutsche Bank’s top executives. Banks have some leeway in deciding how to value trading positions held on their books—especially those that are “illiquid,” or difficult to trade—and when to record losses on them. Deutsche Bank has been accused before of mismarking illiquid holdings. In 2015, it paid $55 million to settle Securities and Exchange Commission allegations that it had misstated financial statements and lowballed risks in complex derivatives positions by between $1.5 billion and $3.3 billion, at the height of the financial crisis. Deutsche Bank, which neither admitted nor denied the allegations, said at the time it didn’t update the transactions’ market value because it didn’t think there was a reliable method for valuing them in the illiquid markets during the crisis. In 2007, Deutsche Bank bought the roughly $7.8 billion portfolio of 500 municipal bonds, which funded schools in California, public works in Puerto Rico and transportation projects in New Jersey, among hundreds of other uses. The bonds were insured by specialized “monoline” insurers to protect the bank against defaults by the issuers. Then the financial crisis took hold, sowing concerns about whether municipalities would make good on their bond obligations—and whether insurers would be strong enough to cover potential defaults. On March 26, 2008, Deutsche Bank purchased additional default protection from Omaha-based Berkshire Hathaway Inc. Warren Buffett’s conglomerate agreed to insure the bonds against default in a complex deal involving derivatives called credit-default swaps. Deutsche Bank paid $140 million for the protection, up front. Three years later, some Deutsche Bank managers began to question the bank’s valuations of the bonds and derivatives. By year-end 2011, the bank had a little over $115 million set aside to cover potential losses. Around that time, Deutsche Bank’s financial auditors from KPMG LLP raised questions about whether the bank had set aside sufficient reserves for the bond positions, according to people involved in the matter. In December 2011, Deutsche Bank managers reassured KPMG, partly through a 14-page white paper. The paper, reviewed by The Wall Street Journal, argued that the bank was doing a good job surveying the market and estimating municipal-bond recovery and default probabilities. A KPMG spokesman declined to comment. Within months, the valuation debates sparked an internal bank investigation. Some executives hatched “Project Marla,” a plan to reclassify the bond investment as a “financial guarantee,” eliminating its day-to-day price volatility on the bank’s books. The bank would move the bond portfolio out of its trading book and into loans and receivables. Legal and accounting objections inside the bank scuttled the plan. In the fall of 2012, an assessment by Deutsche Bank of other Berkshire-insured municipal holdings suggested the bank’s valuation was off-base. The bank boosted reserves to about $161 million at year-end. Late that year, Deutsche Bank unveiled a so-called bad bank, called the noncore operations unit, to wind down or sell positions that were troubled or expensive to maintain. It contained hard-to-sell assets including the Cosmopolitan Las Vegas casino, structured real-estate loans and many opaque derivative positions. The municipal-bond investment went onto the pile. The idea was to protect the bank’s operations by selling or reducing the risk from assets that sucked up capital and other scarce resources without earning enough profit to justify their costs. The bad bank was supposed to give investors more transparency about unwanted assets. Executives hoped it would reassure them that the bank was slimming down, cutting risk and repositioning itself for a new era of tighter regulatory controls. 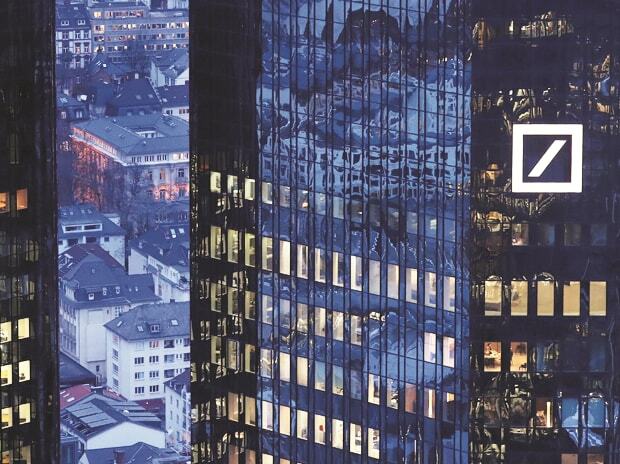 In April 2013, Deutsche Bank issued a new round of shares, raising $3.3 billion. But internal concerns about the municipal-bond portfolio were mounting. A review that June showed that Berkshire Hathaway was valuing the credit-default swaps that provided default protection on the bonds at roughly $1 billion less than the bank valued them. By the end of 2013, reserves for the Berkshire trade had risen to $579 million, still insufficient, according to bank documents. In 2014, Deutsche Bank sold another $9.6 billion of new stock. Its internal estimates for losses from the municipal-bond investment rose, pushing year-end reserves set aside to cover potential losses from the position to $620 million. A year later, those reserves stood at $813 million. At the start of 2016, the figure rose above $1 billion. Even then, some risk and valuation managers inside the bank warned executives it wouldn’t be enough, according to people involved in discussions about the trade. That May, the bank calculated how much it might cost to sell the bond portfolio and unwind the loss protection from Berkshire. The additional loss: between $728 million and $768 million, according to management-board minutes and emails to top executives of the noncore unit. Even that number might not be high enough, managers warned. “Cost to exit could increase by an additional $100mn depending on market conditions,” an internal memo noted. On May 17, 2016, top Deutsche Bank executives met in Frankfurt, Germany, for an update on the noncore unit. The biggest obstacle to lessening risk was the municipal-bond portfolio. It was tying up at least $400 million in capital that could have been used elsewhere, and getting worse, according to internal estimates. Executives including then-CEO John Cryan wanted the position gone by the end of June, when the bank would close its books on the second quarter. Mr. Cryan privately fumed about the position, citing it as a prime example of trades that tied Deutsche Bank’s hands and demanded precious capital and attention from traders, lawyers and accountants long after any hope of profit had evaporated, according to people involved in discussions about the position. That summer, the bank finally dumped the position. On its second-quarter earnings call that July, Mr. Cryan referred obliquely to the transaction. “In early July, we successfully unwound a particularly long-dated and complicated structured trade, which was the largest single legacy trade” in the noncore unit, he said. He didn’t specify the amount of the loss. Mr. Cryan didn’t respond to requests for comment. That August, Berkshire Hathaway said it had paid $195 million to get out of its obligations of an eight-year-old credit-default contract tied to a portfolio of 500 municipal bonds. It didn’t name its trading partner. At the end of 2016, Deutsche Bank closed down its noncore unit. In early 2017, it tapped the equity market again, raising $9 billion. Later that year, it opened an internal investigation into whether it had misled investors or needed to address problems with how it valued certain complex positions. In April 2018, Deutsche Bank’s supervisory board fired Mr. Cryan, replacing him as CEO with longtime executive Christian Sewing. The bank never publicly disclosed the exact trade or the scope of its losses.